49 x 50 grid, 1/2 cm pixels. 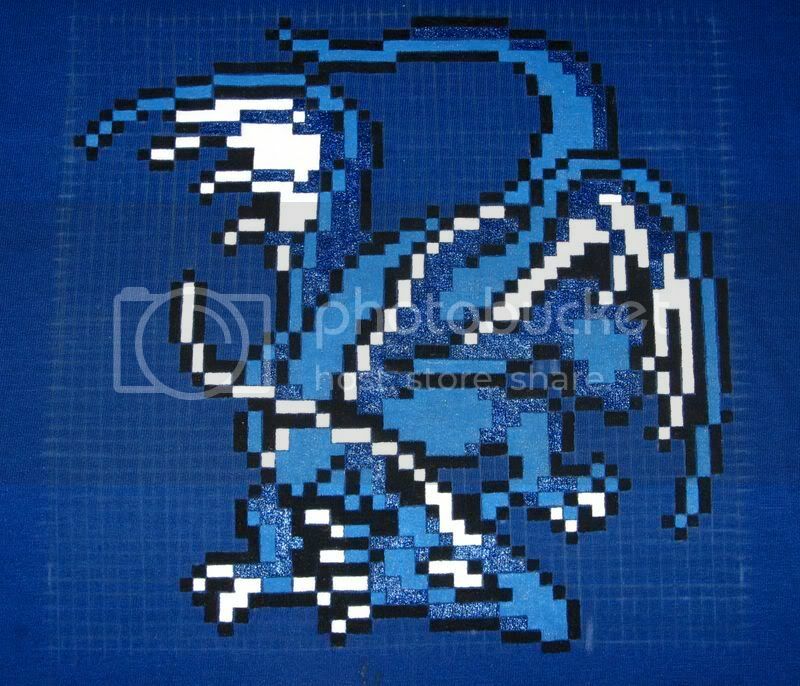 Blue dragon enemy sprite from Final Fantasy 1. I again made use of some metallic fabric paint that I had picked up. I don't think I'd ever use more than one metallic color per shirt - any more than that and it would get a little too gaudy. Hey there... great site. Love the sprite shirts! I've been working on smaller designs as well, and found your site when I needed a sprite from Metroid.